JJJ Hottest 100 2013 Leaked ?? | SOUL OF SYDNEY FEEL-GOOD FUNK SOUL DISCO vibes & beyond. JJJ Hottest 100 2013 Leaked ?? 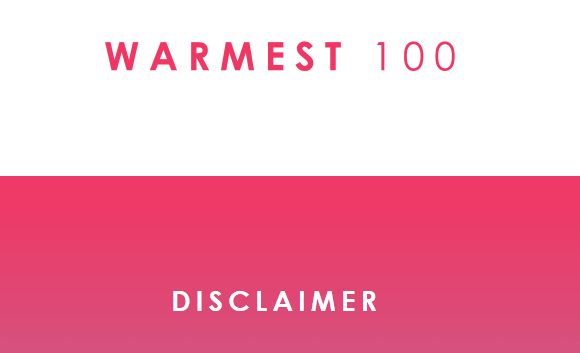 OK so we aren’t exactly sure if this is leaked or not, those cats at ‘Warmest 100’ have a really good predictor & they have have certainly been spot on in the past.